SecretBuilders Builder Logs: Our New Contest - Healthy Bytes - Starts Tomorrow! Our New Contest - Healthy Bytes - Starts Tomorrow! How exciting! 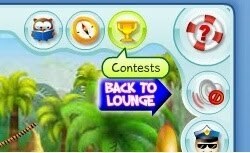 A Healthy Recipe Contest on SecretBuilders! You can start submitting your entries from tomorrow. Use your imagination and help us say NO to junk food at school and at home! 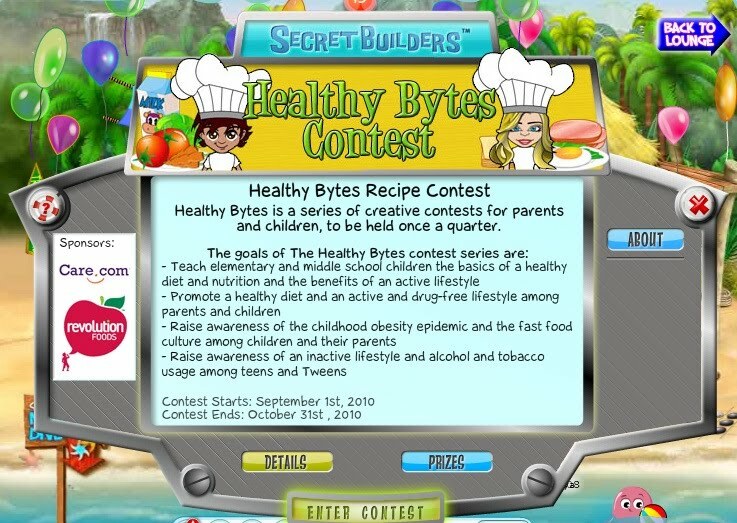 Healthy Bytes is a series of creative contests for parents and children, to be held once a quarter. Various prizes and recognition will be given to the top finalists as well. For easy access to the contest, click the Contests icon on your SecretBuilders menu. Renaissance 2.0 Media Copyright 2009. All rights reserved.